Fall is just around the corner here in Lancaster County. The days are getting shorter, cool mornings and evenings greet us and the foliage becomes colorful autumn tones. There is a lot to do in Lancaster as fall approaches, we celebrate all things pumpkin, apple and corn. We've compiled a list of events here in Lancaster in October so be sure to check them out while staying at one of our many lovely Bed and Breakfasts. Fall Farm Days takes place at the Amish Farm and House in Lancaster Oct. 7-10. 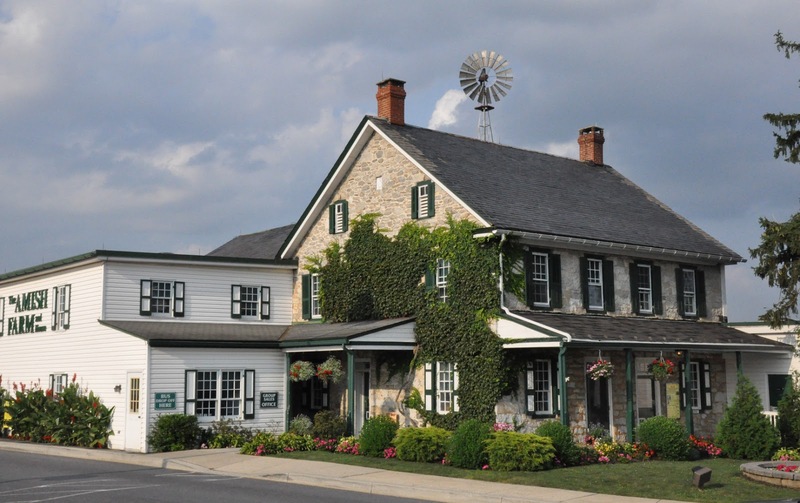 The Amish Farm and House allows guests to experience the Amish farm life here in Lancaster, with tours and a look at the barns, meadows and animals. In addition to the regular tours and attractions, the fall weekend celebration offers pumpkin face painting, a corn maze, hay wagon rides, a burlap sack slide, pick-your-own pumpkin patch, and more. There will also be demonstrations from woodcarvers, blacksmiths, and apple sauce making. Food will also be available for purchase. 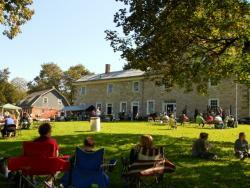 The Fall Apple Festival takes place at the Haldeman Mansion in Bainbridge on Oct. 9. Enjoy live music on the lawn, eat homemade apple desserts or choose something from the mansion's food menu. Guests can also take a complimentary tour of the mansion or explore the river trail along the grounds. Admission price is just $5 per car and proceeds benefit the mansion. 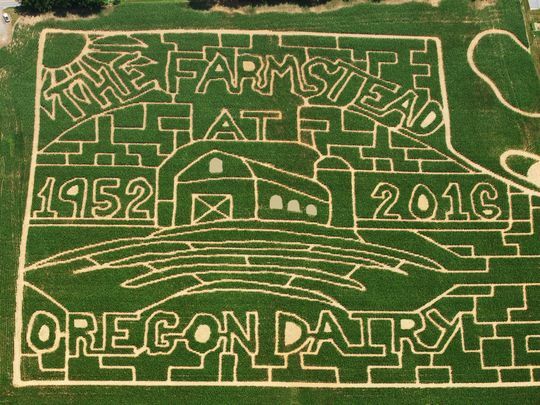 In addition to fall festivals, Lancaster County has plenty of different corn mazes with all sorts of attractions for the whole family. 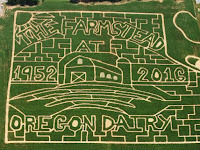 Oregon Dairy Corn Maze, located at the Oregon Dairy Supermarket, has a large corn maze with tractor rides to their pumpkin patch, kids attractions, punkin' chunkin', and lots of food and drinks. Barnyard Kingdom at The Country Barn features a maze as well as pig races, wagon rides, animals on the farm, a giant tunnel slide and a pedal kart track. Cherry Crest Adventure Farm offers many activities beyond its five-acre corn maze. The Courtyard features a pedal kart track, a hands-on farm experience, a discovery barn and a chick hatchery. The Barnyard allows kids to build their own cabin with giant Lincoln Logs, pet animals in the Barnyard animal grove or sling tennis balls with a giant slinger. Many different foods are available including corn on the cob, popped corn, homemade confections and more. There is also a gift shop on site. We hope to see you here in Lancaster soon as we transition into fall. Be sure to reserve a room at one of the bed and breakfasts across the county at www.authenticbandb.com. And for those of you anticipating the Christmas season, the second annual Find Your Belsnickle Tour tickets are on sale October 1. The fundraiser features a tour of over 15 inns dressed for the holidays, including treats at each inn, a chance to win prizes and admission to the National Christmas Center. For more information, visit www.authenticbandb.com/belsnickle.php.